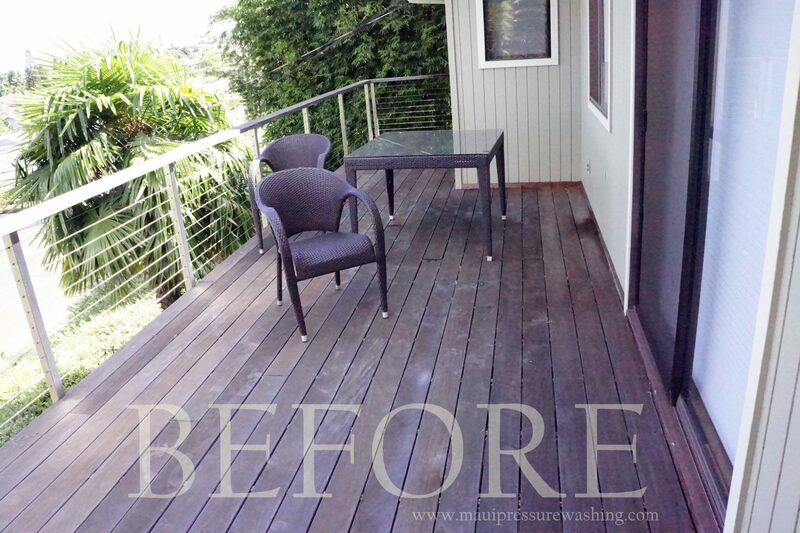 This week at Maui Pressure Washing we took care of a wood deck that was in need of cleaning, among many other things. 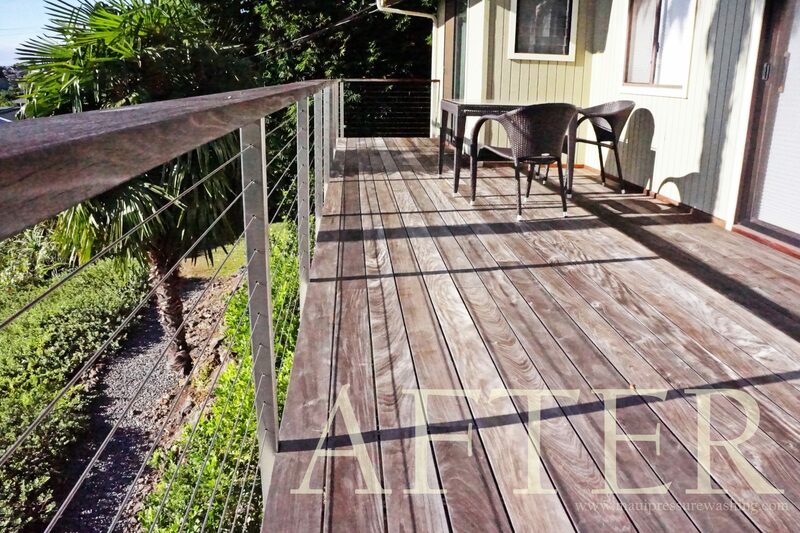 The birds and the dust in Pukalani had taken their toll, and made this 5 year old deck turn an unattractive tint. Using 3400 PSI on our power washers, we pressure washed off a thick layer of dirt without damaging the wood. Maui Cleaning Services, Maui Deck Cleaning, Maui Exterior Cleaning, pressure washing. Bookmark.